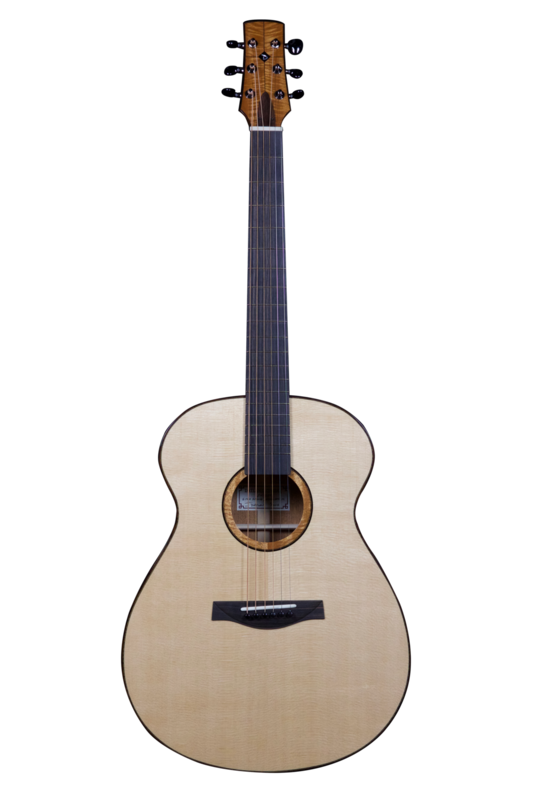 This guitar pays tribute to the traditional OM shape with subtle shifting of the bracing for optimal performance. It's my second-largest bodied guitar with a sound that is clear, pure, and perfect for finger style playing. A standard Datlen Luthiery OM comes with the following design features, which I’ve carefully considered for premium quality, feel, and sound. 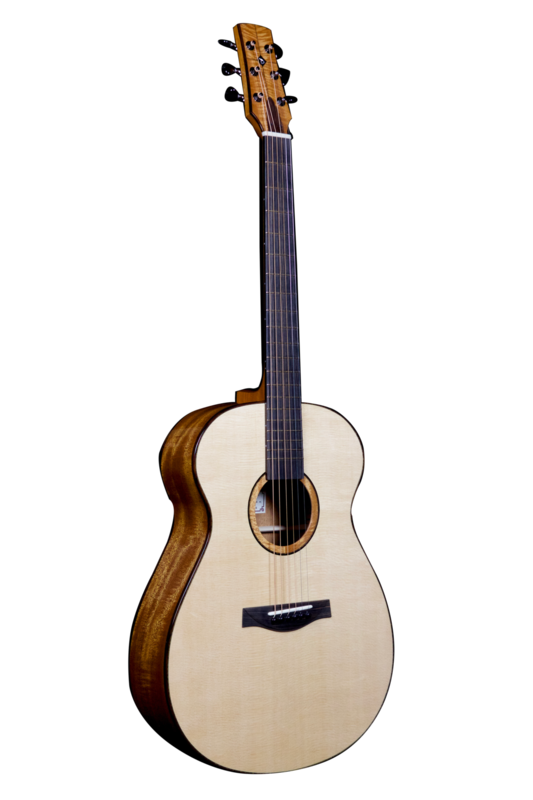 Non-standard woods may be substituted and a cutaway may be added for additional costs, as listed in the Other Options. *Price is subject to change based on non-standard wood choices, added features, and/or more detailed designs. Please visit Other Options for approximate upcharges. What sound do you look for in a guitar? Are there any specific woods you would like to use? Any other details? Questions for me? Body Depth at Tail: 4 ⅛"
Body Depth at Heel: 3 ⅜"
Manzer Body Wedge (Side to Side): ⅜"